10 Best WordPress Email Marketing Plugins for 2018! It’s the year of digitalization and everything is now done online or through digital media. When it comes to businesses whether small or on a large scale even the promotions and advertisements are now preferred to be done on the go. That is through the online sources like Emails and updates. But what is the best way to help promote your WordPress business as well as keep your viewers engaged and updated? Well, one of the easiest and cost-effective ways to do so is through Email Marketing. So what exactly is Email Marketing and how does it help us with promoting our sites? Email Marketing simply means sending out commercial messages or updates of what’s going on your website through emails to one or a group of your users. Sounds easy, doesn’t it? But if you jump to decisions and decide to do it all by yourself and send out thousands of messages to your users daily, it might be a hefty task. That is where Email Marketing plugins come in handy. Not to worry as WordPress is a platform that takes care of all the users need! And in this case, WordPress has an array of plugins meant for Email Marketing developed just for us! If you ask us what are those? Well, simply put into words these plugins work to simplify the process of sending out emails to your users and increasing your subscribers by taking over the responsibility as a whole. With the help of these, you have the full control over what you want to send, and who you send it to. In a matter of minutes, you can set it up to your preference and send out thousands of newsletters and emails to your users. But wait, there is yet another daunting question? Which WordPress Email Marketing plugin works the best? To answer the question and specify the importance of integrating it to your WordPress, in this article, we have listed out the best WordPress Email Marketing plugins to save both your time and effort. Feel free to check them out and find the one that works the best for you and your website! Best WordPress Email Marketing Plugins for 2019! When it comes to Email Marketing, MailChimp is a name that has certainly left a mark. One of the best Email Marketing services out there, the good news is, MailChimp now offers you a WordPress plugin to help out! The plugin acts out as a bridge between your WordPress and your MailChimp account for effective performance. Don’t worry if you are not a MailChimp user because creating a new account is absolutely free and takes minimum time! If you are a growing business owner or a Pro marketer, there are premium plans for you! So why wait? Get this awesome newsletter service that will help you send out the email campaigns to your users easily and in a matter of minutes! It’s a subscription-based service from the email marketing service provider MailChimp. In order to use the service, you need to install the plugin. User-Friendly and mobile-optimized sign-up forms. Seamless integration with other popular form plugins. Well Documented & Developer friendly. Add-ons available for better features. Our Take on the MailChimp for WordPress is that this handy plugin is surely one that takes Email Marketing to a whole new level. With its advanced features as well as the dedicated services, easily get the best out of marketing through email and newsletter increasing your subscribers daily! Looking for a premium plugin to help you promote your site through email and newsletter? Mailster is a WordPress Email Marketing plugin that is loved by thousands. Build campaigns that are mobile ready, easily with the drag and drop builder. Get all the help you need from their super friendly and useful customer support, and get the best experience on your WordPress. Don’t think twice because this premium plugin is certainly worth the investment and thus we have listed it on number two of our Best WordPress Email Marketing plugin out there! It’s a standalone WordPress plugin that handles everything from WordPress dashboard. Learn more about the plugin here. Easy drag and drop campaign builder. Easily integrated with other WordPress plugins. Mobile and Retina ready designs. Advanced analytics to help you keep the record. Auto Responder that you can control. Our Take on Mailster is that this super convenient and useful WordPress Email Marketing plugin is one that certainly steps up the game. No need to sign up, just download and activate for easy access to unlimited newsletters and email campaigns! Once you invest, you never have to worry about recurring fees! When it comes to Email Marketing as a whole, OptinMonster is another name that is renown for their great services. With their plans ranging from basic to professional, you can get the one that suits best with you and our subscribers. Integrated with the best of website platforms and contact form plugins, all of your needs will be answered once you try it out! The lead generation software is sure to double the number of your subscribers and email lists. Best for starters to even professionals, OptinMonster is yet another platform we know that you won’t regret investing on! It’s a subscription-based service from the email marketing service provider OptinMonster. To integrate this service on your WordPress website, you need to install the plugin. Mobile friendly and retina ready designs. Over 65 pre-made templates to choose from. Powerful targeting and segmentation engine. Advanced and actionable analytics option. Easily integrate with other website & eCommerce platforms. Our Take on OptinMonster is that it is a flexible and versatile software that answers all of your email marketing needs. With the powerful and advanced audience targeting and segmentation option, you can generate more leads and attract more subscribers! Newsletter is an awesome free WordPress email marketing plugin that is just as awesome as any other plugins on the list! Perfect for list building as well as sending out emails headache-free, this plugin goes out of the box to give you the best experience with promoting and adding subscribers to your website! With advanced features integrated within the plugin, create unlimited email and campaign for your users. Not only this but you can add in extra features if you wish with their free add-ons! It’s a WordPress specific plugin created to provide email marketing solution to WordPress users. Learn more about the plugin here. Responsive and mobile friendly form designs. Integration with the WordPress Registration. Free and premium add-ons for a better experience. Helpful and friendly user support. Our Take on Newsletter is that this WordPress email marketing plugin is easy to install and integrate. Flexible and simple enough to fit either a starting phase or even professional level of websites, you will surely not regret getting it for your website. Thus we have included this on our list of Best WordPress Email Marketing plugins! Sumo List Builder is an awesome addition to your WordPress if you are looking to grow your user email listing. This plugin helps to convert your one-time visitors to permanent subscribers with the creative looking newsletters and pop-ups that appear on clicks, timers as well as before any user leave your site! One of the easiest and most advanced drag and drop builder, this plugin is probably one of the best email capture tool out there to keep your users hooked. The one and only mobile-optimized popup plugin get the best for your WordPress site! What’s great is that you can even try it out before getting into the pro version with their free version. It is a WordPress marketing plugin that has easy integration with the best email marketing service providers MailChimp, Aweber, Constant Contact, and Campaign Monitor. Learn more about the List Builder here. Pre-designed templates to choose from. Mobile ready and responsive design. Easy Drag and Drop Builder. Powerful targeting tools for most engaged users. Easy integration with other email marketing services. VIP and dedicated customer support. Our Take on Sumo List Builder is that the innovative take of this WordPress email marketing plugin certainly makes it one of the best. Create stunning pop-ups to keep your users hooked to your site and increase your subscribers in no time! Just as the name defines it, Email Subscribers & Newsletters is yet another awesome WordPress email marketing plugin that helps you to email your subscribers and create newsletters. With the help of this free and yet feature packed plugin, you can easily collect leads and send automated new blog posts as well as emails, create stunning newsletters and even manage them through a single click! 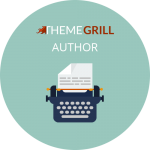 Perfect for all of your newsletter and email needs, this plugin specializes the requirements of a blogger, website owner, and marketers and developers. Keep your users engaged and updated with a single-click installation of this awesome plugin. Automatic Welcome Email option for new users. Friendly and helpful customer support. Ability to control user access. Easy integration with other free plugins. Our Take on Email Subscribers & Newsletters is that this free WordPress email Marketing plugin is almost as good as any premium ones. Perfect to build and increase your subscribers, this takes care of all your newsletter needs and requirements. With the newer and better version of MailPoet, you can now get the best of experience with MailPoet 3. This free WordPress email marketing plugin is perfect to send out unlimited emails for up to 2000 subscribers without leaving the WordPress platform. The advanced features that have been upgraded surely take your marketing to a whole new level. The flexible and easily configurable options add the ease of usage. The best part? You can switch to the premium version once you have more than 2000 subscribers in minutes. Sign up to one of their sending plans and you will be set up! Designer and responsive templates to choose from. Option to send emails with the MailPoet’s sending service. Helpful and responsive customer support. Automatic Welcome email sending option. Our Take on MailPoet 3 is that this latest version is certainly better than their previous versions if you are an old user. The ease of access and much better user experience, you can now easily send out thousands of emails and newsletter to your requirements in minutes! Just as the name goes, the WP Subscriber Pro does the job of email marketing for your WordPress websites. Boost your conversion of traffic to subscribers with this creative and innovative piece of addition. Furthermore, this plugin also supports FeedBurner, MailChimp as well as Aweber, thus making this the must-have plugin for your WordPress site. Optimized for speed, get only the best of the user experience with this plugin. Grow your subscribers and keep them hooked to your site and send thousands of emails in a matter of minutes! The plugin works in an integration with the email marketing services including MailChimp, Aweber, Benchmark etc. so the subscription of these services is independent of the plugin’s pricing. Integrates with popular email marketing services. Pop-up animations to choose from. A premium list building WordPress email marketing plugin for your website, Ninja Kick is worth investing if you are looking to grow your subscriber list. The elegant effort of this plugin with the opt-in form in a non-obstructive pop-up is great to hook your users to your site. Compatible and with ease of access, this plugin certainly is one of the best plugins out there that takes care of all of your email marketing needs. The responsive and eye-catching layouts is yet another factor that contributes to it! Ninja Kick has great integration with 13 popular email marketing services including MailChimp, Get Response, Constant Contact, FreshMail, MailPoet etc. The subscription plans of these services are not included in the plugin’s price. Supports popular email marketing services. Premade form layouts to choose from. Responsive and mobile friendly designs. Our Take on Ninja Kick is that this plugin surely takes the cake with the advanced features of triggered subscription forms by user action. Great to add more subscribers to your website, this plugin is definitely worth the splurge. Last but certainly not the least, SendinBlue has earned its name through its awesome service as an email marketing service provider. 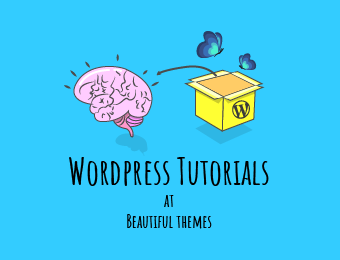 And when it comes to WordPress it is now easier to connect it to your site than ever with the addition of a WordPress plugin SendinBlue. Easily send thousands of emails and newsletters through SendinBlue directly through your WordPress without any hassle to connect. Grow and segment your target audience with no limits to stop you at all! It’s the offocial WordPress plugin for SendinBlue. The plugin helps you integrate your SendinBlue account with WordPress website and do email marketing. More details about the SendinBlue here. Auto-installation of the automation script. Powerful statistics and analytics feature. Drag and Drop email design tool. Advanced segmentation for easier access. Our Take on SendinBlue is that this plugin is the best option for you and your site if you use SendinBlue email marketing services. If you are not, not to worry because signing up takes less than a minute and is definitely worth trying out! Having a WordPress Email Marketing plugin on your site surely does help out if you are looking to increase and update your subscribers. Whether you are looking for a plugin to design beautiful email or subscription forms or eye-catching pop-ups and newsletter to keep your viewers engaged we have it all lined up just for you! Feel free to check out our list of awesome WordPress email marketing plugins to help you and your site grow to the fullest! We hope we have solved your dilemma on which plugin works the best for you! If you liked this article, why not check out some of our other helpful plugin listings we have prepared just for you! MailChimp is without any doubt the best way to start. Especially for beginners, as you can use for 2000 subscribers which is simply awesome. I am using the same for my blog too.